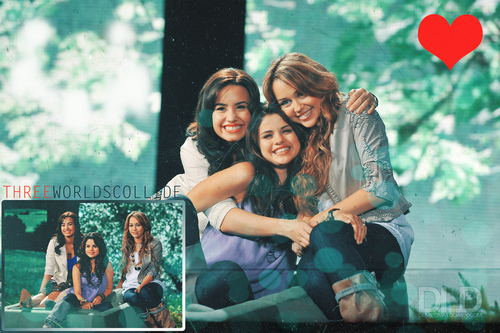 Selena,Demi,Miley. . HD Wallpaper and background images in the 迪士尼 Channel 星, 星级 Singers club. This 迪士尼 Channel 星, 星级 Singers photo might contain 标志, 海报, 文字, 黑板, and 文本.